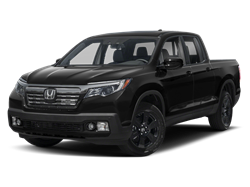 Silver Metallic 2019 Honda Ridgeline RTL AWD 6-Speed Automatic 3.5L V6 SOHC i-VTEC 24V Black Leather. Hello, I would like more information about the 2019 Honda Ridgeline, stock# S02968. Hello, I would like to see more pictures of the 2019 Honda Ridgeline, stock# S02968.